Goshin Ryu Karate has been established for over 50 years and is a world leader in the instruction of Karate and Self Defence for Men, Women and Children. Please do not hesitate to contact us if you have any questions regarding Goshin Ryu Karate or training. For more information about your closest Goshin Ryu Dojo. Please search our 'Karate Clubs' directory at the top of our homepage. Areas includes New South Wales, Queensland, Victoria in Australia and various locations in China. Dr Richard Bradford - Goshin Ryu Karate founder and head instructor Kancho Richard Bradford is an 9th Dan master who has an Australian Government recognised Diploma of Coaching and has been training in martial arts for nearly 60 years. Dr Bradford was Australia's National Karate Coach from 1977 to 1993. He starred in 'World of Kung Fu' and 'Kung Fu Killers' with Bruce Lee in the early 70's and is Australia's most experienced and successful coach. Dr Bradford has personally coached three Australian Martial Artists to obtain World Titles, a record that still stands throughout the Oceania and South East Asian region. 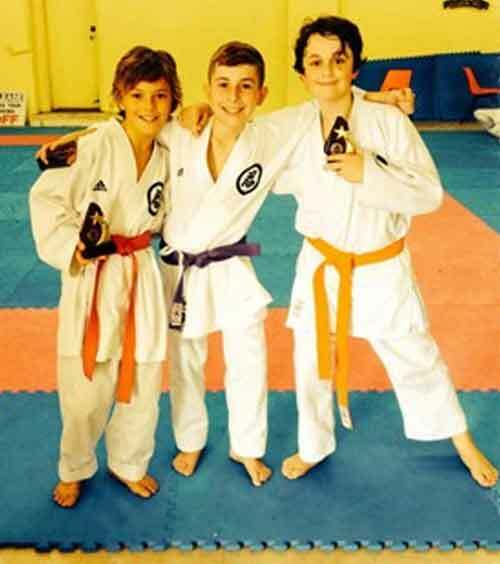 Dr Richard Bradford has been the leading force in the development of children's and family Karate programmes throughout the world. He is currently expanding the Goshin Ryu Karate system in China and is the technical director to both the Chinese National Karate and Olympic Taekwondo teams. Shihan Ross James started training in the style of Budokan (Tony Chew) in 1968 along with Goju Kai (Tino Ceberano). Ross began his training with Goshin Ryu in 1974 (Richard Bradford) and was the first Black Belt to be graded in the Goshin Ryu style by Dr. Richard Bradford. He started his own Goshin Ryu club at Baulkham Hills in 1976 which has run continuously since that date. He obtained his State Referee and Judging Certification in 1982 and actively refereed at a State and National Level until 1996. He has trained with internationally renowned instructors including Fumio Demura, Masayuki Takasaka, Patrick McCarthy, Vince Morris, Bill Wallace and Benny Urquidez. Ross has a total of 44 years continuous training with over 30 years continuous instruction. 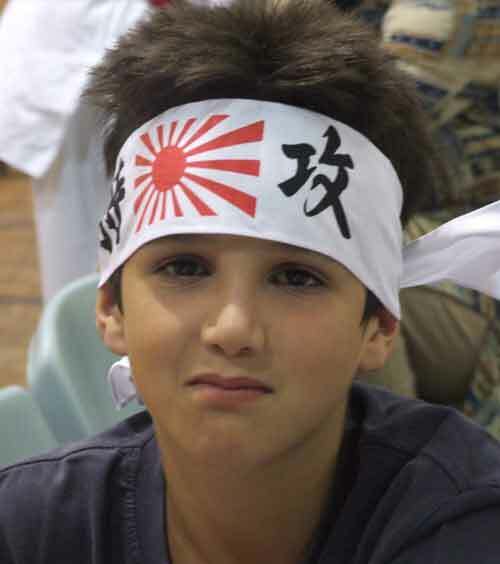 Ross graded to 4th Dan in 1996, 5th Dan in 2004 and 6th Dan in 2012. Shihan Ross retired from instructing and regular training aged 64 to pursue other sports endeavours, however still visits Goshin Ryu dojos internationally to conduct classes and seminars. Shihan Darrell Bossley left home on horseback with my kelpie dog at 15 yrs (1961). Travelled around riding in rodeos, doing cattle work, odd jobs, etc. I had a bad rodeoing accident in 1968, which put me in a wheelchair. I started martial arts around 1970 for rehabilitation exercise. The first style I did was Budokan Karate then I followed Hunchi Richard into Goshin Ryu when he first started this style in Australia. I have also trained in Ju Jitsu and Tai Chi. I started my club in Batemans Bay in September 1974 then later on opened Clubs in Braidwood and Canberra. At this stage I was teaching and training six day per week. During this time I was also the State Coach for the A.C.T. for a couple of years. At this place in time I am a 5th Dan which I achieved in December 2009. Martial arts has introduced me to many marvellous people and places around the world the Phillippines, Singapore, Japan and Spain to mention a few. Martial arts has been a major part of my life for over 45 years. It is not something that I do but has become what I am. It has taught me that if you believe in yourself and train correctly, you can achieve personal goals that would be otherwise be extremely difficult, bordering on impossible. Darrell was promoted to 6th Dan in December, 2018. Shihan Peter Becroft started Karate in 1978 with Goshin Ryu at Blacktown and became a Black Belt in 1992. In 1997 and 2000 Shihan Peter represented Australia in the International Super Martial Arts League (ISMAL) coming 2nd in Kata and 3rd in Kumite in the 2000 World Martial Arts Games. In 2009 Peter achieved his 5th Dan Black Belt and in 2018 was promoted to 6th Dan. 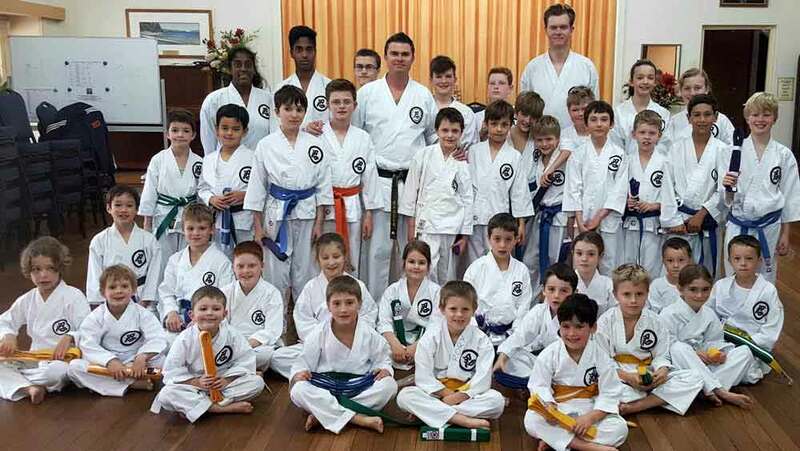 Shihan Peter has been teaching Karate at his full time dojo on the Mid North Coast in Laurieton since 1996 and continues to do so today helping more than 25 of his students reach Black Belt level and beyond. Peter is a dedicated instructor who has a passion for practical applications of Martial Arts who loves to share his wealth of knowledge of Bunkai with others. Shihan Craig Turner joined Goshin Ryu Karate in June 1980 and attained his Black Belt in December 1985. He is now a 6th Dan Black Belt (Shihan) Senior instructor with the Goshin Ryu Karate Association Inc. Craig has over 25 years teaching experience. Government accredited Cetificate III in sports coaching. Current Red Cross Applied 1st aid certified. Child Protection clearance certified Former state and national champion (AKF) Former state and national team member (AKF) AKF NSW State Team coach for 10 years. Trained with number of different martial arts teachers and styles including Aikido, Koryu Uchinadi, Ju Jutsu, Kung Fu and Judo. Trained in number of countries including England, Belgium and Spain. 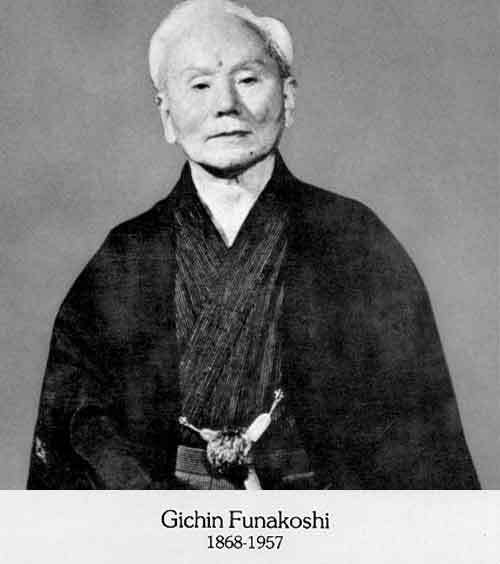 He has conducted regular seminars in regional and interstate clubs of Goshen Ryu over a number of years. Shihan Craig also led a training session with the "Blue Team" on Season 3 of "The Biggest Loser". Shihan Ian Thomas 6th dan, Regional Instructor, Riverina Karate Regional Coach, NSW Karate Federation. 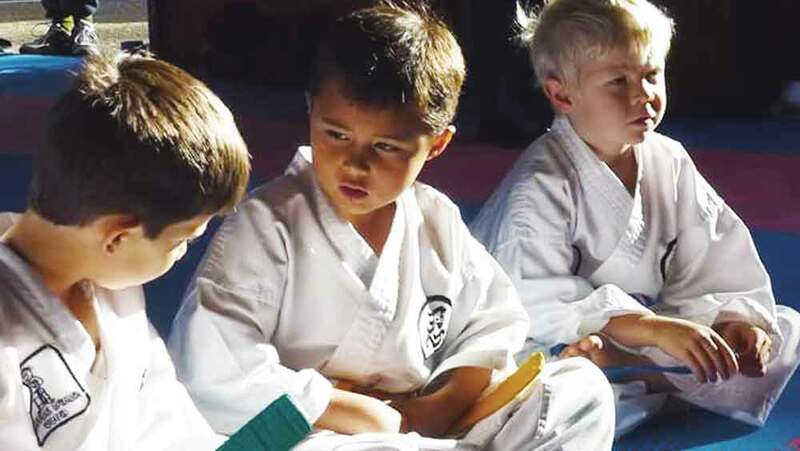 Riverina Karate was introduced into Wagga Wagga over twenty-five years ago by Ian Thomas (B.Ed). 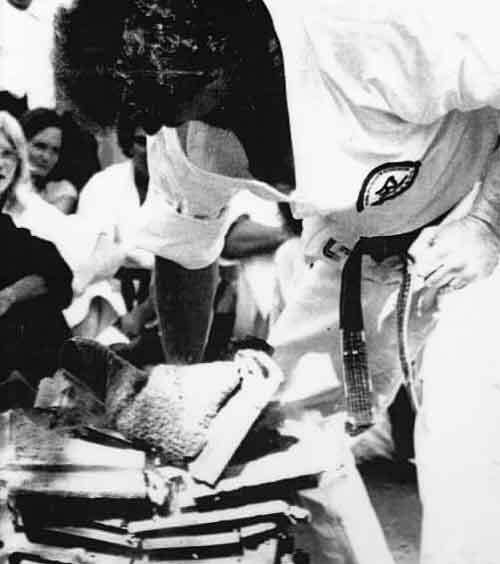 Ian had commenced training in karate in Sydney’s western suburbs in 1982. Upon transferring to Wagga Wagga, Ian set up classes at the PCYC in 1986. Having now trained for over thirty years Ian has accumulated numerous achievements in development of his students, the sporting field and in developing his own experience. He has developed his own skills by training with such luminaries as the Gracie Brothers, Fumio Demura, Tadashi Yamashita, Patrick McCarthy, John Will, Vince Morris, Tino Ceberano and Chan Cheuck Fai. In the sporting field Ian found his niche in coaching Kumite helping to develop a number of state, national and international representatives and champions.
" The ultimate aim of Karate lies not in victory nor in defeat, but in the perfection of the character of its participants."